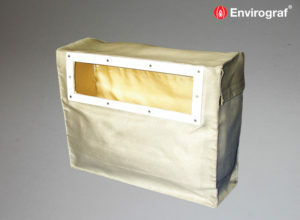 An intumescent fire and smoke protection letter flap system. 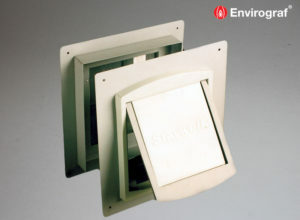 Consists of a frame with smoke protection seal, a spring-loaded flap and an intumescent liner to fix into the door aperture. Also available is an all-in-one economy letter box complete with intumescent lining. with double sided tape and pins supplied. 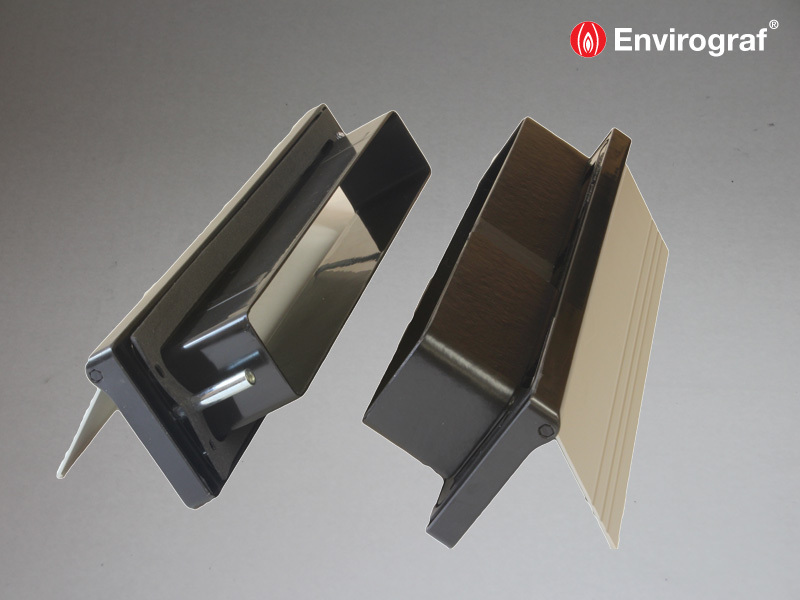 For Internal Flaps / Security Hoods, align with the external flap and fix with screws supplied. Option A: Front smoke frame and flap + intumescent liner. Option B: Front smoke frame and flap + intumescent liner + rear smoke frame and flap. Option C: Front smoke frame and flap + intumescent liner + security hood (standard security hoods are black). Special BS and RAL colours made to order at an extra charge. NEW LETTER BOX UNIT Complete with intumescent liner. 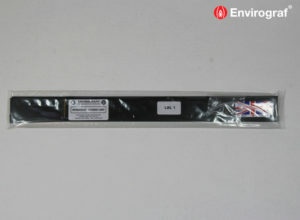 Overall size 76mm x 310mm, deep to suit door sizes 38-60mm. INTERNAL SMOKE FLAP only, consists of a 10mm deep metal surround, with a metal flap, housing a smoke and draught seal to suit hole size 267 x 50mm. These are made in the standard colours shown below. Tested to BS476 Part 22 1987, built into a composite door, maintaining the integrity of the door for 61 minutes. 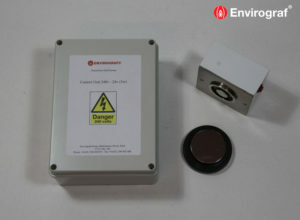 Tested to European Standard EN1634-1 (2000), achieving 68 minutes protection.